Brewer Magazine gathered input from breweries from across the country to share input on what type of water these breweries have and how they adjust it to their liking. Drake’s Brewing‘s Lab Manager Michael Burgess and Brewmaster John Gillooly said they are incredibly lucky to get slightly hard water for most of the year, with low concentrations of chloride and sulfate pretty much year round. Also while not a test per say, the incoming water and hot liquor tank water are tasted daily at Drake’s. “This allows us to quickly screen for any off flavors or off colors that might transfer to the beer and make a less than desirable product,” they said. 21st Amendment Brewery’s Quality Supervisor, Jocelyn Havel, said the same is done to ensure a good start. “We take samples before and after our UV sterilization to plate onto nutrient plates to ensure that our water is sterile,” she explained, adding they test for chloride bi-weekly to ensure that the carbon filter is functioning. They also send out water samples to an external lab to test for hardness, alkalinity and various ion concentrations. Tom Davis, the owner of Thomas Creek says that being in Greenville, South Carolina gives the brewery some great water to start from. Thomas Creek does add MgSO4, CaSo4 and CaCl2 to the water in many varying amounts because the water is very soft and needs calcium to harden it up along with having those three salts added can emulate most water profiles. “This give us the ability to make many different styles of beer as we can change the water to meet the style parameters,” he explained. In Madison Wisconsin, Ale Asylum‘s Quality Control Manager Joe Walts said the brewery tests for calcium, magnesium and alkalinity. “We are pleased to report that our test results are very close to the values in our municipal water reports,” Walts said. “However, the city supplies our water from three wells and the fraction from each well varies seasonally, so it’s important that we have frequently-updated data from our own tests. 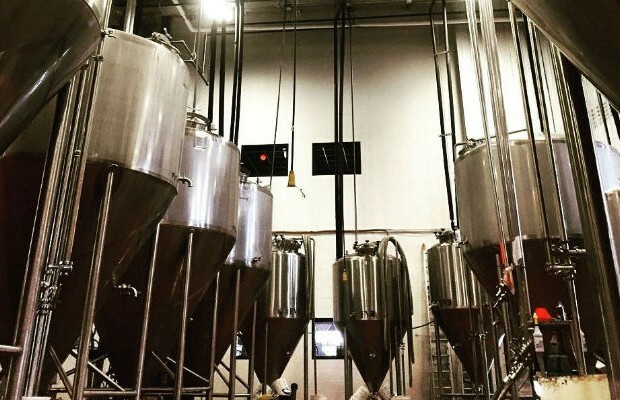 When Drake’s brought its 60-bbl brewhouse online they had the opportunity to take a look at all of their recipes again. “We were adding Calcium Chloride, Calcium Sulfate, and in some cases Sodium Bicarbonate in varying amounts to everything,” Gillooly and Burgess explained. “As recipes were scaled up, the salt amounts were changed frequently, among other things, and our beers were of variable quality. Along with testing their water for taste and pH regularly, Todd Ford at NoDa said they also send their water off quarterly for analysis for tests that their lab is not prepared to do at this time. “We have “skinny water” as I call it,” Ford said, “low in Calcium but also low in most other minerals and salts. We augment our hoppy styles with more calcium and more sulfate while non-hoppy beers get the calcium without the sulfate. Drake’s is still striving to improve their water quality and they are working on adding an RO system. When it’s finally brought online there are plans to blend the RO water with the incoming city water. Alkalinity is the only vital test Drake’s does regularly to ensure quality. Being located in the Bay Area, they get most of our water from two sources: local reservoirs and the Mokelumne watershed. “The biggest difference is the alkalinity. 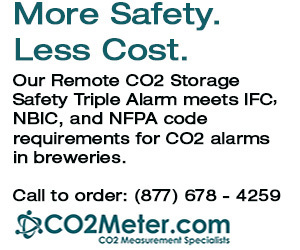 Mokelumne is in the 20 ppm range and local water is in the 100 ppm range,” the duo wrote to Brewer. “Our local water district, East Bay Municipal Utility District (EBMUD), is also kind enough to send weekly water reports and let [us] know when they change water plants that might cause spikes in any parameter. During the summer, our alkalinity can fluctuate fairly drastically from one day to the next. Read more about water in the May/June issue of Brewer Magazine.